As others have said, this is something of a love it or hate it pub. I fall into the category of liking it but not what I'd call a top pub, six out of ten seems fair to me. It is an amazing place though - old building, small bar (and tiny bogs that aren't what you'd call state of the art) and a generally cosy feel. It can get a bit packed though - not least because its small! Service is pretty good, manager is a Peruvian lady I believe which is unusual for a City of London pub, other staff seem to come and go quite regularly. One of the unusual things that strikes me for a City of London pub (especially right next to a rail station) is that it is something of a regulars haunt with some punters in there 'all the time'. Beer is usually in good shape and have had some drinkable Tribute and excellent Harvey's in here - not cheap though. Long may the place continue. As per the other reviews this is an intimate little pub just off Cannon Street. 3 ales on with the Sharps Cornish Coaster not too bad. Feels like a locals pub, there’s hops & copper pots hanging from the ceiling, aertex on the walls and a thick old fashioned patterned carpet. The bar staff are pleasant. All in all a nice simple boozer. Proper old fashioned boozer just around the back of Cannon Street station. A bit of a local institution and also an acquired taste. In my view a simple proper pub, wooden floors, wooden furniture and top ales. My pint of Sharps Cornish Coaster was excellent. 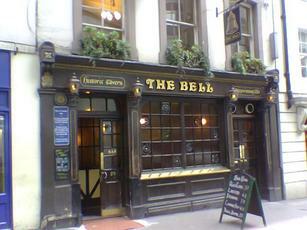 A city institution which offers speedy service and a choice of real ales as well as some cold lagers. Well worth a visit. Very old pub, surrounded by modern buildings. It is very close to Cannon Street station, but tucked away on a side street and therefore not as busy as you'd expect. There did appear to be a fairly loyal clientele crowded around the bar. But otherwise, we found seating easily. 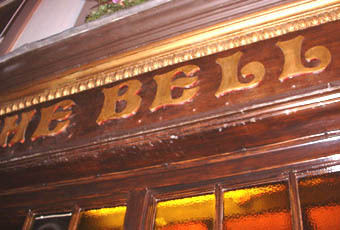 The pub is small and full of character, as you would expect from a pub that dates from before the Great Fire of London. The gents are so tiny, that it's difficult to fit any more than one person in at a time. But at least, a visit to the toilet doesn't involve stairs. Beers on were Otter Bitter, St Austell Tribute, Courage Best & Harveys Best. Addlestones was the cider. Reasonably impressive and worth discovering (if you haven't already).